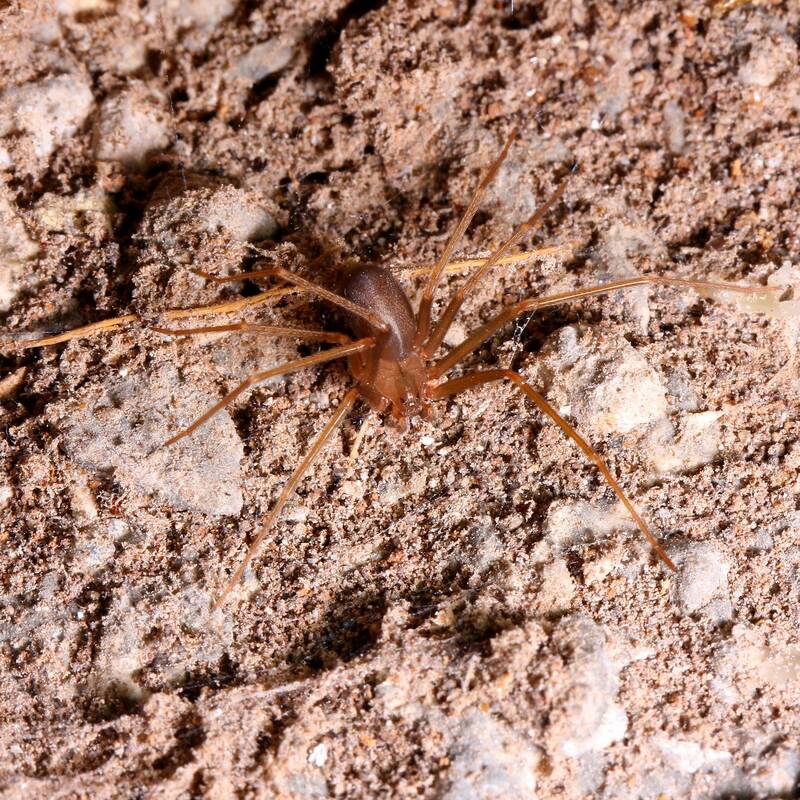 Outdoors, brown recluse spiders prefer hidden areas such as woodpiles and around rocks. 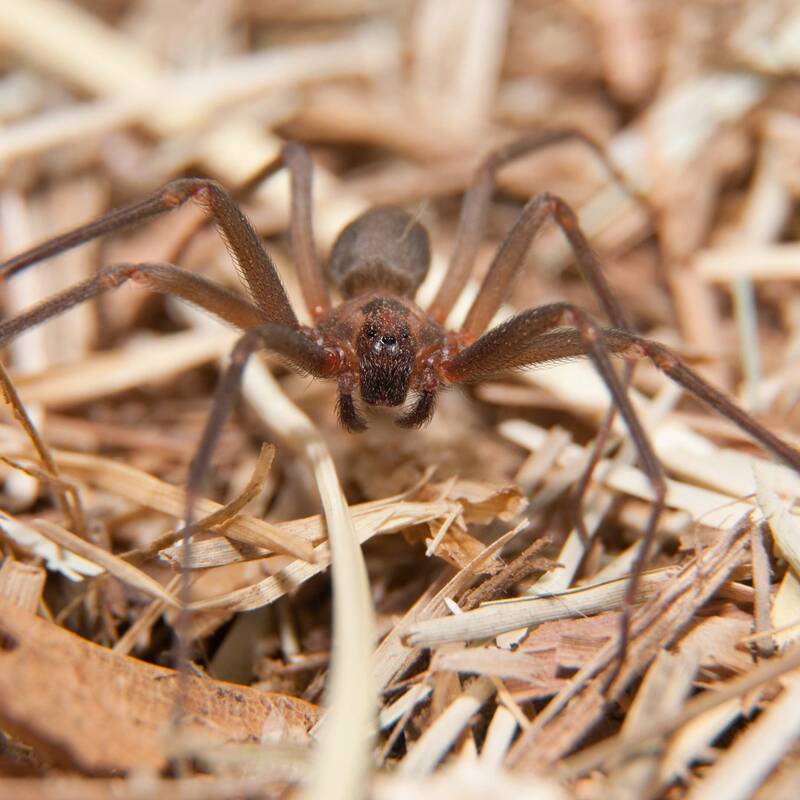 If brown recluse spiders enter your house, you may find them lurking nearly any place where they are undisturbed, including attics, basements, crawl spaces, or inside boxes, stacks of paper or cluttered closets. Unlike most spiders that catch their prey in webs, brown recluse spiders are hunters that go out in search of prey. Their webs are inconspicuous and generally found in hidden areas. Unlike most spider webs, brown recluse webs are messy and loose. If you can easily see the web, it probably doesn’t belong to a brown recluse spider. Brown recluse spiders have two features that make them easy to identify, and the most important is the eyes. While most spiders have eight eyes, brown recluse spiders have six -- three pairs arranged in a semi-circle. Mature brown recluse spiders also have a dark, violin-shaped spot, with the neck of the violin pointing towards the abdomen. (Young spiders lack this marking). 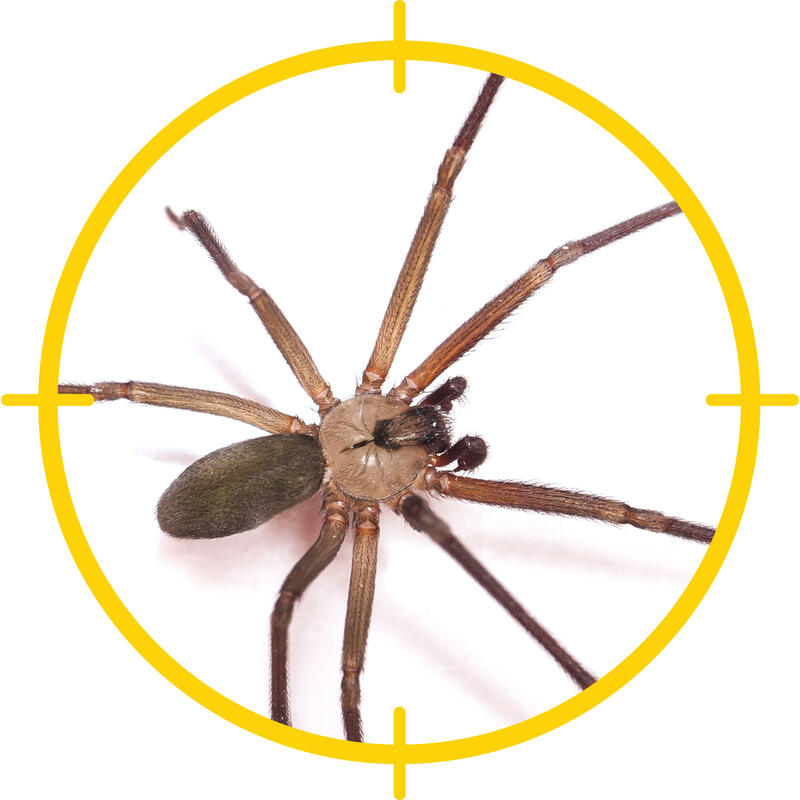 Spray brown recluse spiders inside your house with an aerosol insecticide. Additionally, spray under furniture, in corners, along baseboards and other areas where spiders are found. Use insecticidal dust or spray around the outer perimeter of your home to prevent brown recluse spiders from entering your house. Many sprays and dusts have a long residual effect. Read labels carefully and be sure insecticides are labeled for brown recluse spiders, and that they are suitable for using in or around your home. Prevention is the best form of control for these unwelcome visitors. Install weather stripping around doors and windows. Ensure window screens are in good repair. Caulk all cracks and crevices around your house. Remove clutter in your closets, garage and attic. Sweep or vacuum webs immediately.